The Premise from the Publisher: The autumn morning after sixteen-year-old Audrey Harper loses her virginity, she wakes to a loud, persistent knocking at her front door. Waiting for her are two firemen, there to let her know that the moment she's been dreading has arrived: the enormous wildfire sweeping through Orange County, California, is now dangerously close to her idyllic gated community of Coto de Caza, and it's time to evacuate. Over the course of the next twenty-four hours, as Audrey wrestles with the possibility of losing her family home, she also recalls her early, easy summer days with Brooks, the charming, passionate, but troubled volunteer firefighter who enchants Audrey--and who is just as enthralled by her. But as secrets from Brooks's dark past come to light, Audrey can't help but wonder if there's danger in the pull she feels--both toward this boy, and toward the fire burning in the distance (Penguin). My overall thoughts and review: I just finished reading this a book about an hour ago now and when I closed the book, I sat there for a few moments trying to process and digest it all. I knew I wanted to write my review shortly after that while everything is still fresh in my mind, but damn, I`m still having a time trying to wrap my head around everything. I feel like I will be thinking about this book for a while. I will say one thing and if you have been following me on twitter you`ll know.. this book surprised me. I thought I knew where the story was going and it completely pulled the rug out from under me. From the premise alone, I thought this would be following Audrey and her life, as she comes to terms with possibly losing her home to a wildfire. What you get in addition to that is the intensity of first love and a destructive first love at that. It reminded me a lot of Roz Nay`s Our Little Secret in some ways and gosh, I really loved that book as well. 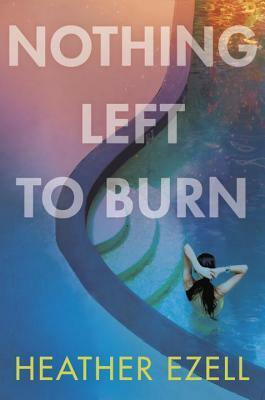 The book is told in two timelines: one with flashbacks and learning more about Audrey and her relationship with Brooks, and then the really current time of the morning when firefighters knock on her door asking her to evacuate. Ezell writes in a really unique way where there is a heavier emphasis on dialogue, but she gives you just the right amount of information you require to follow along the story, but also want to turn the pages quicker and quicker to find out what really happened. This book covers so many topics such as family relationships, first loves, death of a loved one, and grieving. It surprised me in many ways and if you are looking for a fast-paced interesting YA book, this is definitely the one for you. Disclaimer: I received an advanced readers copy of this book from Penguin Teen Canada in exchange for an honest review. All opinions are my own. My Review: So my oldest best friend and I decided to start a book club. I've wanted to be a part of a book club for so long and I love that I get to discuss books monthly with some of my closest friends. This was the first book of our book club. 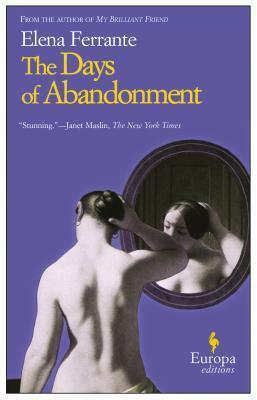 I've read My Brilliant Friend by Ferrante and I quite enjoyed it, but I didn't continue on with the series, which I need to do at some point. This book was something else. 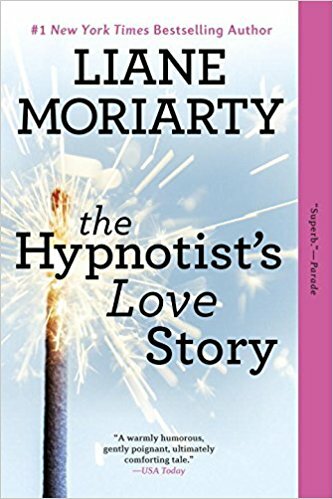 Similar to Moriarty's book, it tackles the ending of relationships. Mario decides one day to leave Olga. Olga is left alone with their dog and two children and she falls into deep despair. You see how her calm demeanor begins to change as the days past. I really empathized with her in the beginning, but then towards the end, the characters became very unlikable. I do like Ferrante's writing though and her way of describing things through beautiful metaphors. It was also quite interesting to see the split opinions at book club on this book. It was definitely some loved it, and some hated it. Hi everyone! I'm back again with another collaboration post with some lovely bookish friends of mine. Since we are basically nearing summer, I thought it'd be a good idea to do what I did last year and put together a post of recommended reads for the summer/beach reads. If you want to see what was featured last year, take a look here! Those recommendations still stand ;) Let's get started! "Rachel Hawkins is the brilliant mind behind one of my favorite paranormal YA series with a school setting. The Hex Hall series had completely blown me away, and it was a series that I, too, binged during the summer holidays. 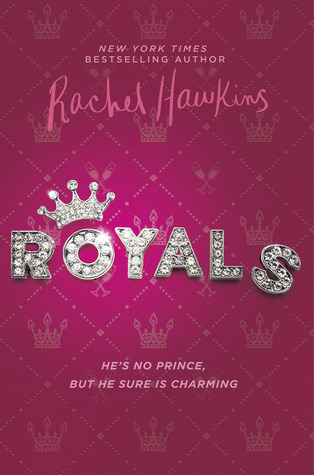 So when I think of summer reading, I definitely think of Rachel Hawkins' latest, ROYALS. Royals, the first of a new series by Rachel Hawkins, focuses on Daisy Winters, your average 16 year old girl with a sister who's nearly engaged to a crown prince. Daisy immediately finds the new found publicity unwelcome, and is forced to join her sister in seclusion at the castle. Royals features snarky characters, handsome love interests, and all the teen drama one could possibly ever want. Additionally, it's arrival is perfectly timed with the upcoming royal wedding of Prince Harry to Meghan Markle! It's the perfect breezy read for a warm day under the sun, and one I can certainly see becoming a much beloved teen series." "This year, my perfect beach read is Stay Sweet by Siobhan Vivian. It's got everything you would want in a summer read - ice cream, girl friendships, a romance - plus tons of feminist themes! It's the story of Amelia, a girl boss who manages an all-female staffed ice cream stand during the summers, and what happens when the owner dies and leaves the stand to her great nephew. What I love about this book is that it seems fluffy and light, but it's not at all predictable. The ice cream descriptions are delectable, the friendships complicated, and the work ethic inspiring. It's extra in the best possible way - I felt both happy and empowered by the end of the book, and you will, too!" "I loved this book because it immediately brought back all the old feelings and emotions (good, bad and ugly) that I used to have about attending summer camp, but with a much more somber outcome. 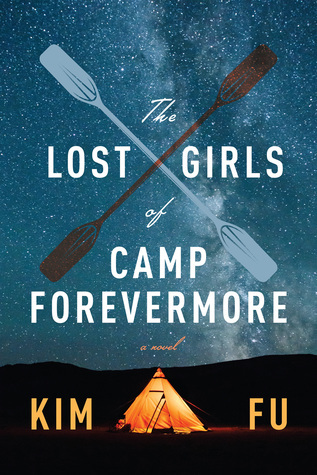 This book is about five girls who slowly begin to bond at camp, doing all the usual camp things, until the day they set out on their very first overnight kayaking trip. Something goes horribly wrong, and the girls are left without adults to guide them or to help them to survive. Told in alternating PO and in flash forwards and flashbacks, the reader slowly begins to piece together what exactly happened on that fateful night, and just how profoundly one formative memory can affect several people so differently over their life. The combination of the familiar sense memory identifiers of summer, mixed with the suspenseful storyline and alternating POVs may not be everyone’s cup of tea, but it will definitely spark discussion around the campfire." "The Wedding Date was so incredibly enjoyable & fun. On top of that, the heroine is a badass taking names, but still has those niggling self doubts that even the most confident women can. The Wedding Date shows it’s okay to be both. And the hero is flawed in such an incredibly realistic and lovely way. I laughed, chuckled, sighed, and screamed at the book. Got a beach bag? Put this book in it. Got a backpack? Put this book in it. Got a briefcase? Put this book in it. Got a moderately sized purse? Put this book in it. Got a tiny purse? Get a bigger purse so you can put this book in it." 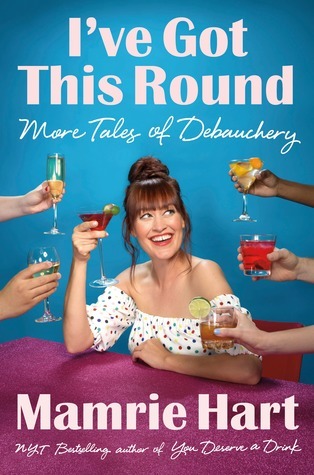 "I rarely get asked to be part of blogger collaborations, so I was happy to join in on to this one, especially since it's for a summer/beach read recommendation. My pick is pretty obvious for anyone who knows me even a bit, and it's Kevin Kwan's Crazy Rich Asian series! The movie of the first book is out on August 17th of year, which makes it an even more perfect read for the summer. 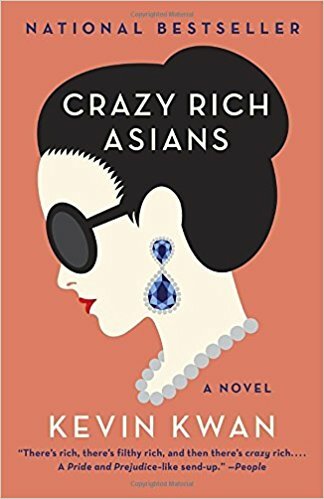 For those of you looking for some deeper plot or a thought-provoking story, Crazy Rich Asians may not be for you. Instead Crazy Rich Asians is pure escapism at its best as we follow all the crazy spending, drama and juicy gossip of the some of Singapore's wealthiest (fictional) families. Of course at its heart, Crazy Rich Asians is also a love story and who doesn't love a good rom-com during the summer months?" "Hello all! This is Marina from A Makeshift Library. I'm excited to recommend you a quick but powerful summer read! 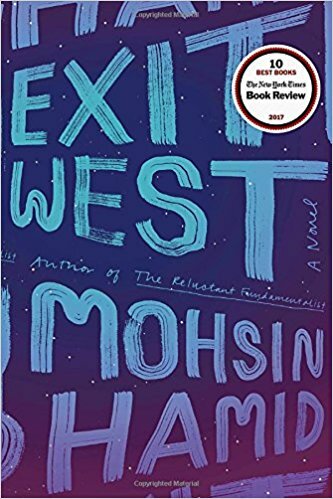 Exit West by Mohsin Hamid will be a great companion for an afternoon under the sun. The story follows a young couple displaced from their home country by a senseless civil war as they cope with the loss of family, their sense of identity, and mementos from simpler times. Hamid infuses the story with beautiful love anecdotes and presents this heart-wrenching journey in a world where a simple doorway may transport you across the globe. Great for fans of Khaled Hosseini and Neil Gaiman (this book was a wonderful mix of the two!). A beautiful book if you're in the mood for something a bit more dense but don't want to commit to a door-stopper. An incredibly beautiful, raw, and magical story." #1 for romance readers who like lighter rather than steamier reads: #STARSTRUCK by Sariah Wilson — Oh my! I read #Starstruck a couple of months ago and loved it! Zoe and Chase’s Twitter meet-cute was utterly adorable! I loved how their relationship bloomed, and I really loved all of their interactions on Twitter. Soooo cute! 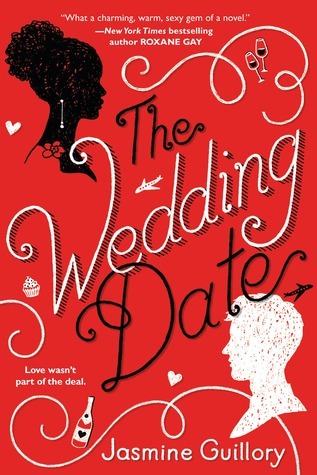 :D This book gave me all the feels and had me giggling like crazy! #2 for romance readers who like their books racy: VICIOUS by LJ Shen — Vicious is on the darker side romance-wise and it’s super steamy. Sometimes you need a book that’s going to wrench at your heart and tear at your feelings, and sometimes the summer is the best time to read books like that…so if you’re in the mood for a book that’s going to make you super conflicted about your feelings and that’s going to probably make you blush and maybe even make you cry…then it’s time for you to meet Vicious and Emilia. ;) Vicious was my favourite book from 2017, and I’m still absolutely obsessed with it to this day! Read it, read it, read it! I’m always up for chatting about romance books, so thank you for letting me share some of favourites on your blog, Christine! Happy summer reading everyone! ;)"
I just want to take a quite moment and thank all the great bloggers for participating this time around. I've added quite a few of these books to my TBR and I was pleased to see some books I've read in the past and loved as well on the list. Please be sure to jump over to their social media pages and show them so love. Let me know in the comments below what books are your favorite for this summer time? Or if you are not one for re-reading, what would be your most anticipated read this summer? The Premise from the Publisher: "Love it or hate it, you'll never forget it. In this heart-warming novel, Swoon Reads star, Sandy Hall, explores a classic high school celebration, capturing every relatable and hilarious teen milestone along the way. A Prom to Remember is a funny and cinematic look at the biggest dance of every high schooler's life" (F&F). My overall thoughts and review: Prom is a huge milestone whether you love it or not, and I feel like a lot of it occupies your senior year of high-school. Even though I had my prom ten years ago and way before prom-posals were a thing, I remember the stress of finding a dress and how it just consumed my thoughts for months. When I saw that this book was going to tackle multiple perspectives (7 in total! ), I was definitely intrigued. 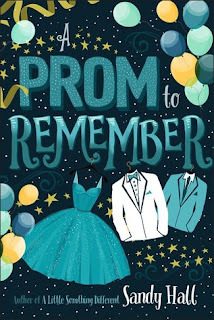 I've read YA books before where prom happens in the book at some point because it takes place in senior year, but it isn't the focal point that links everything together. I was a bit worried in the beginning that I would get confused by the multiple perspectives, but it quickly became easy to identify who was who, and how their stories linked together. I loved that there were a lot of anxieties expressed in the book. Cameron and Lizzie have been talking to each other via a shared laptop over the course of the year and don't know each others real identities and the book explored the anxieties of both preparing to meet in real life. But the portrayal I enjoyed most was Henry's because he has social anxiety and the whole prospect of prom itself is nauseating to him. I believe he demonstrated the most growth out of all the characters because at the end, he realizes that he can go to things for however long he feels comfortable and he can leave whenever he wants. I just loved that self-realization that happened at the end. Other story-lines that I really enjoyed were Cora and Jamie's. Here, Hall tackles the notion of high-school sweethearts and what happens when you go to college. I remember being of the same mindset and thinking that high-school romances were meant to be forever. Sometimes it works for some people, but other times, it only puts constraints on the individuals to not fully explore and learn more about themselves. There was also great LGBTQ+ representation in the book which I'm pleased with. Overall, this was a really fun read and I loved all the different perspectives. I would definitely recommend this if you are looking for a feel-good book that you can read with the lovely weather outside. Disclaimer: I received an advanced readers copy of this book from Raincoast Books in exchange for an honest review. All opinions are my own.